Would you change some of your decisions? Would you under bid that big job you lost just to get it? What if you could have a system in place the would build a fence around your customers and increase access to new prospects and projects? 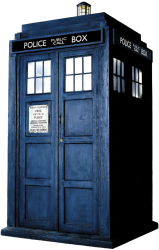 Doctor Who is a long-running British TV series that is currently invading the United States. In the show, the Doctor travels through time protecting and saving the people of the planet Earth. So, Allons-y! Let us begin to help you with your biggest challenges today. Click here to complete the form and someone from PagePath will contact you. You will also receive a free Business Grid download upon completing the form.